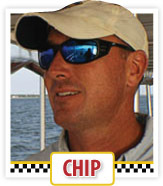 Co-owner and Captain Paul McNeely Deaton III, also known as Chip, always knew he wanted to work on Charleston harbor. 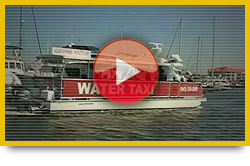 Even as a young boy he wanted to spend all his time on a boat. 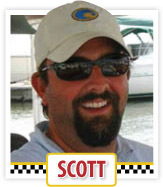 After six years in the navy and then working for three water taxi companies in Charleston, he decided to take on the Charleston Water Taxi with Scott. To Chip the best part about his job is meeting all the different people. “I love helping the locals and visitors plan their day in Charleston, while giving them a fun and safe experience on the water.” Chip lives in the West Ashley area of Charleston with his wife Jill, sons Benjamin and Owen.